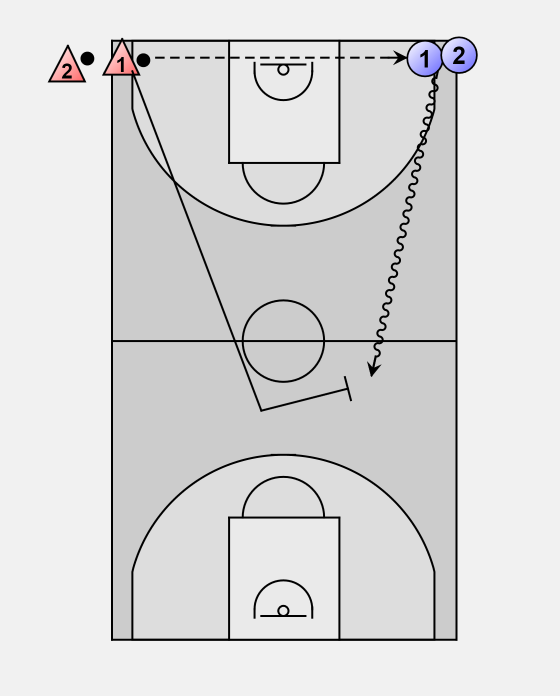 Player D1 passes to O1 to start the drill. After the pass D1 sprints to mid court and tries to stop O1. D1 and O1 play 1 on 1 on the opposite basket. Next pair starts when a shot is taken or the ball is lost.